Today on The AfterParty, we welcome industry icon and veteran B. Jeffrey Grant-Clark. We talk about his legendary career and his new book Faces of Praise. In addition, our New Release Segment features new music hitting stores this week. 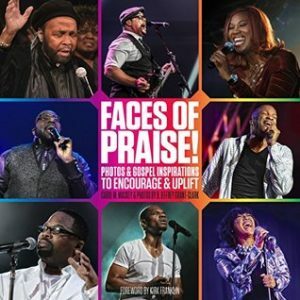 Check out music from Chaka Khan, George Benson, Fred Hammond, Kirk Franklin, Donnie McClurkin, Hezekiah Walker, Kim Burrell, Maurette Brown Clark, Daryl Coley, Peter Collins, Jonathan McReynolds, Amber Navran, The Walls Group, Young Saint, Chandler Moore, Isabel Davis, Earnest Pugh, Derek Minor, Anesha Birchett, Micah Tyler, and more. This entry was posted in Podcasts, The Morning Show and tagged Amber Navran, Anesha Birchett, B. Jeffrey Grant-Clark, Chaka Khan, Chandler Moore, Daryl Coley, Derek Minor, Donnie McClurkin, Earnest Pugh, Faces of Praise, Fred Hammond, George Benson, Hezekiah Walker, Isabel Davis, Jeff Grant, Jonathan McReynolds, Kim Burrell, Kirk Franklin, Maurette Brown Clark, Micah Tyler, New Release Segment, Peter Collins, The Afterparty, The Walls Group, Young Saint. Bookmark the permalink. Trackbacks are closed, but you can post a comment.